The user – Often, the user has very little knowledge of the inner-workings of the service or technology, but is the most active in the day-to-day interactions with the cloud. The decision-maker – The decision-maker controls access to which cloud services will be utilized and the manner in which they will be used by the organization and its employees. The cloud provider – This group is responsible for upkeep of the information technology services and providing maintenance for the cloud infrastructure, service, or application. Cloud computing can be private, public, or hybrid (a combination of public and private). 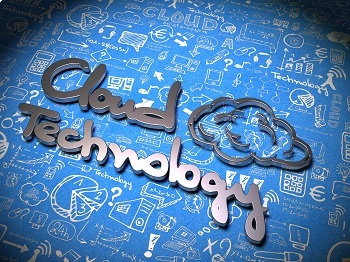 How is cloud computing beneficial to your organization? Cloud computing can save your organization time, space, and money. For example, when sending a document, there’s no need to drop it in the mail any longer. Cloud platforms such as email and e-fax services now electronically transfer the document for you. Or, remember when every monitor needed a corresponding computer tower? Now, all you need is access to an internal intranet or the external web and you’re set. You can access all of the required programs and applications. Since cloud computing is scalable, your organization no longer needs to overpay to hold more user licenses than required, for instance. You can upgrade or downgrade the service (and thus, the cost) as your business needs change. Cloud computing can save time, space, and money. Security – Verify the security measures put into place by the cloud service provider. Do the measures verify identity, distinguish between legitimate and illegitimate activity, and use coding to protect your information? Compatibility – Will the service, application, or infrastructure work with your current operating systems, programs, and services? Compliance – Do you have the needed governance, policies, and procedures in place to protect your information and organization? Are the same rules embodied by the cloud provider for the portions of the infrastructure that are beyond your control? Controls – Do you have the necessary internal data management, security, and privacy controls in place? How will information be transferred between point A and B? Who will ensure that it is correct? How will changes be made? Why is cloud computing an area of such interest? According to the World Economic Forum, cloud computing “provides an abundance supply of technological capabilities at a low cost.” This has been the “…basis for radical business innovation, new business models, and significant improvements in effectiveness for anyone using information technology.” Since most of the world now uses technology, cloud computing has worldwide implications and is thus, a very important topic of interest! Halloo Communications provides a cloud based telephone and contact management system. For more information on the benefits of Halloo, take the tour. This entry was posted in Cloud Phone System, Halloo, Small Business and tagged cloud computing, cloud environment, cloud services, computer infrastructure by Heather. Bookmark the permalink.